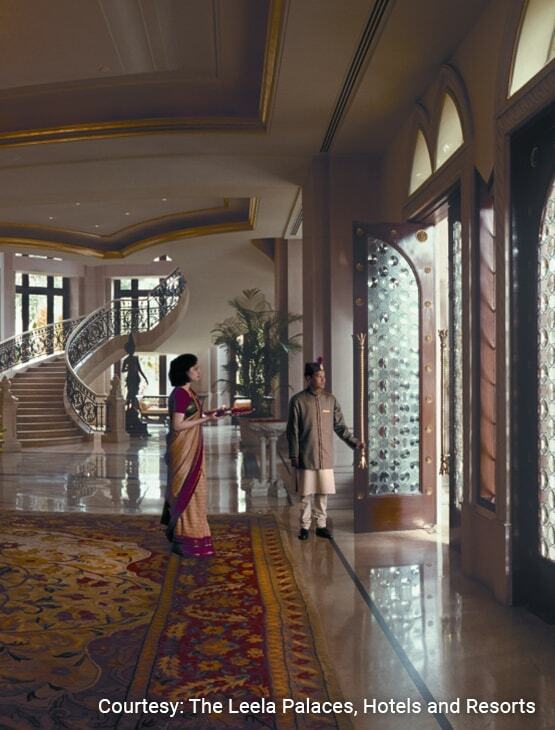 The hotel with 357 rooms and multiple dining options stands majestically amidst lush gardens and a sparkling lagoon in Bengaluru. Adorned with wall paintings and decorative shawls, Jamavar offers traditional food once eaten by royalty. Savor the best of Teppanyaki and Yakitori kitchens at Zen or Le Cirque Signature’s Franco-Italian fare. 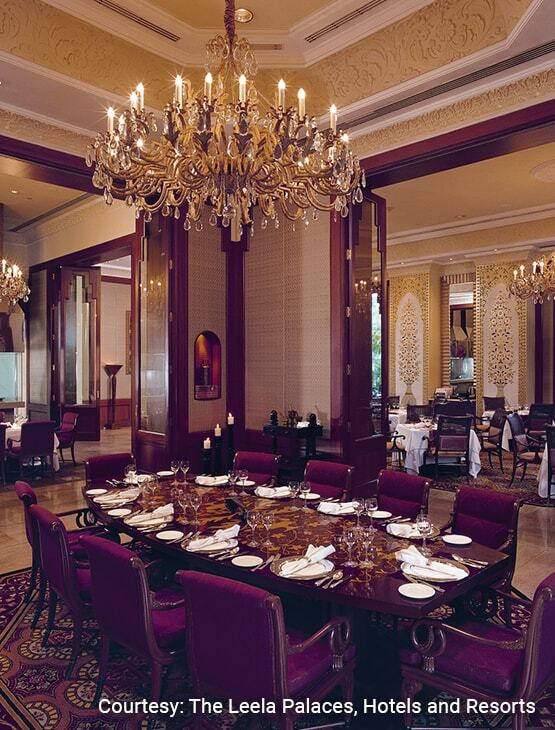 Experience the multi cuisine diner, Citrus; and the quintessential bar experience at Library Bar. Indulge in a batch of handcrafted bakes at The Cake Shop. 15% discount on all alcoholic and non-alcoholic beverages. 20% discount on room service orders. 20% discount on snacks at the bar. 15% discount on Sunday Brunch. 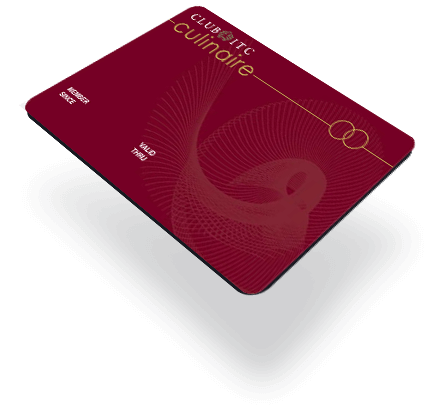 15% discount at Le Cirque Signature on food and soft beverages. 10% discount on Best Available Rates on rooms. 15% discount on Spa usage. One (1) certificate entitling the Member to a complimentary buffet lunch for two (2) guests at Citrus. This benefit is valid from Monday to Friday. It is not valid on public holidays. One (1) certificate entitling the Bearer to a 30% discount on the total food bill on a table of up to eight (8) guests at Zen on Sunday or at Jamavar on Saturday and Sunday. One (1) certificate entitling the Member to a complimentary bottle of Domestic Sparkling Wine while dining at any of the restaurants at the hotel. One (1) certificate entitling the Bearer to a Welcome Drink for each guest up to a maximum of four (4) guests while dining at any of the restaurants at the hotel. One (1) certificate entitling the Member to a complimentary night stay each in the base category of rooms, valid for check-in over a weekend (Friday, Saturday or Sunday night only). One (1) certificate entitling the Bearer to a complimentary night stay each in the base category of rooms, valid for check-in over a weekend (Friday, Saturday or Sunday night only). 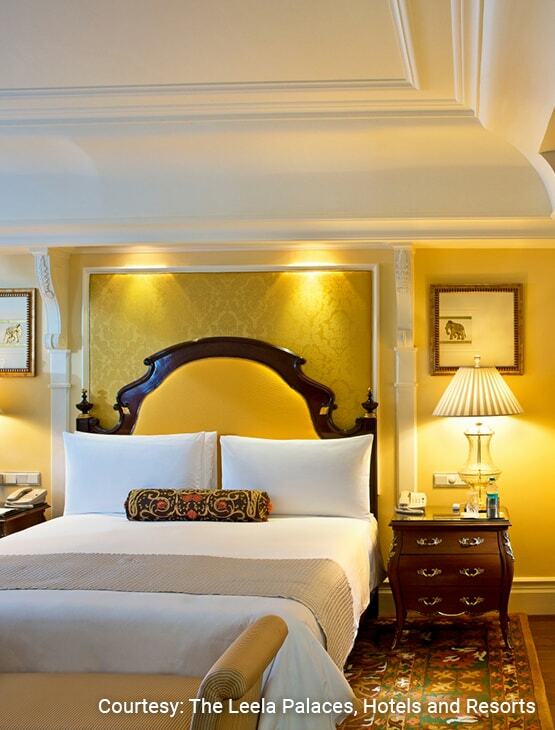 One (1) certificate entitling the Bearer to a 15% discount on Summer Packages and a 10% discount on Winter Packages at The Leela Goa, The Leela Kovalam or The Leela Palace Udaipur. 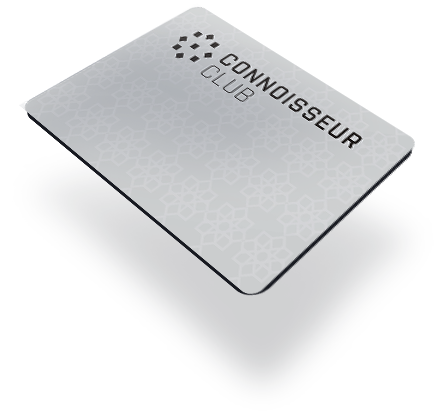 Two (2) certificates entitling the Member and a guest to a 50% discount for a one hour therapy at the Spa. This certificate is non-transferable, not valid on special packages and is valid from Monday to Friday. Prior reservations must be made clearly stating the use of this benefit. 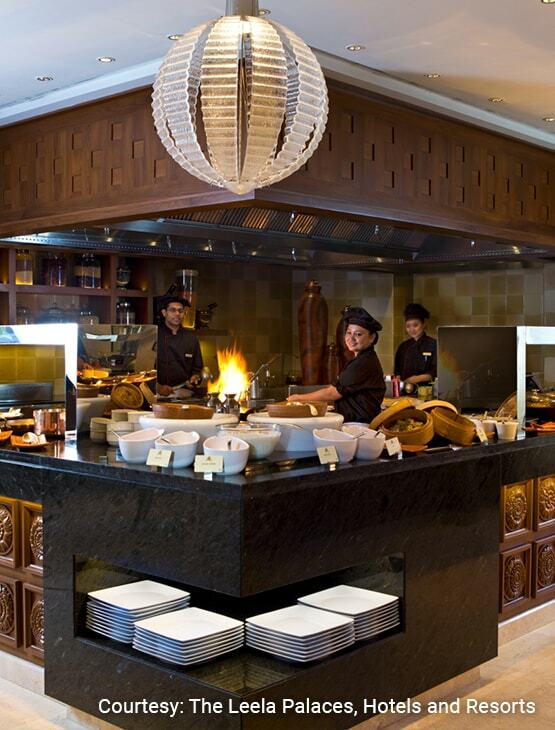 The above- mentioned discounts on Food bill, a 20% discount on soft beverages and a 15% discount on alcoholic beverage bills can also be availed at The Leela Mumbai, The Leela Ambience Convention Centre Delhi (Shahdara), The Leela Ambience Gurugram Hotel & Residences and The Leela Raviz Kovalam. 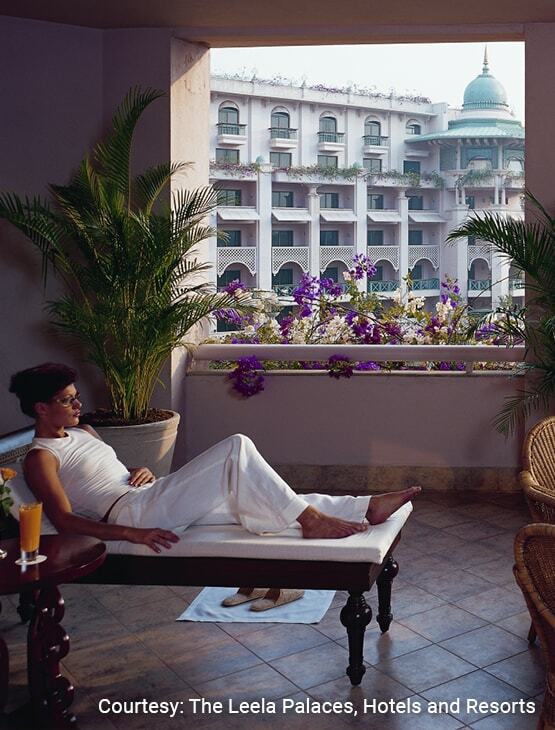 10% discount on Restricted or Regular rates on ‘Room Only’ basis at Participating hotels of The Leela Palaces Hotels & Resorts. 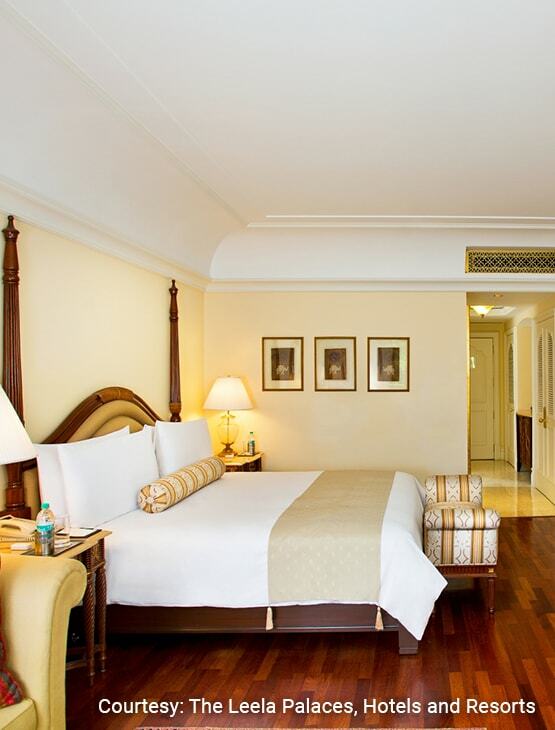 Please book online on theleela.com and use the Promotional code LEELACC. Upgrade to the Gold Level to get additional certificates offering a complimentary room night stay, 50% discount at the Spa, an Executive Suite at a Special Rate, up to a 30% discount on food and beverage spends and discounts on Holiday Packages at selected participating hotels. In addition to the Gold Level benefits, the Platinum Level brings to you three (3) Executive Suite night stays, in lieu of Standard Rooms. Also receive, a certificate offering a 50% discount on a table of up to 8 guests and a certificate offering usage of the Golf Simulator.